Feel a lot more at home with this stunning Mirrored Round Clock. This luxury piece is made from mirrored glass and MDF and it comes in a beautiful silver colour. 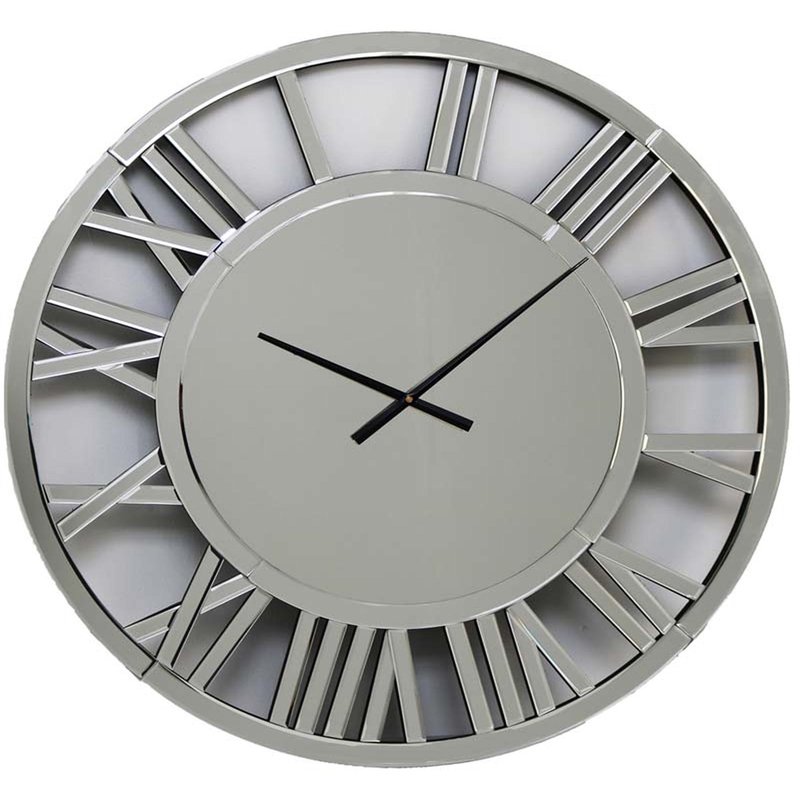 This wall clock has a very contemporary design, making your home look more up to times and modern. It reads in roman numerals and is quite a large clock so this eye-catching piece will defiantly something that will make a statement in your home.